Product code: ES7855 Categories: Sold Items, Sold Jewellery. 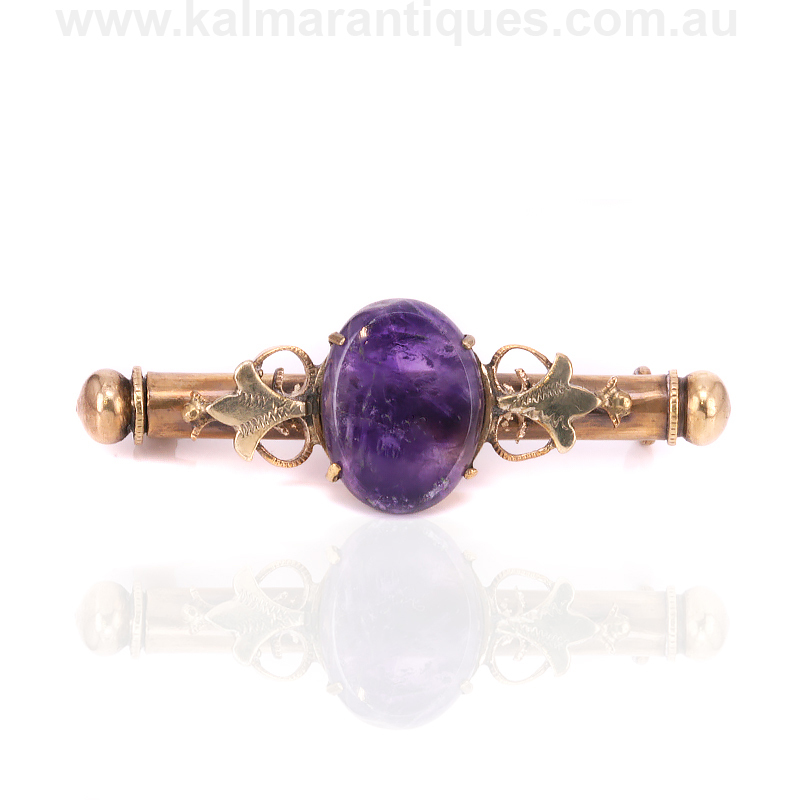 Antique jewellery can often be not just beautiful, but also a wonderful window into a time gone by, such as this charming antique nanny brooch dating from the Victorian era. Dating from the 1880’s, this was as the name suggests worn by the nanny as a traditional brooch and when she was out with the children, if they tore a hole or seam in their clothing, could quickly be repaired thanks to the hollow section in the centre that contained needle and thread. This is a wonderful glimpse into the past and one can only imagine the scene of playful boys running and falling over and tearing a hole in their clothing. 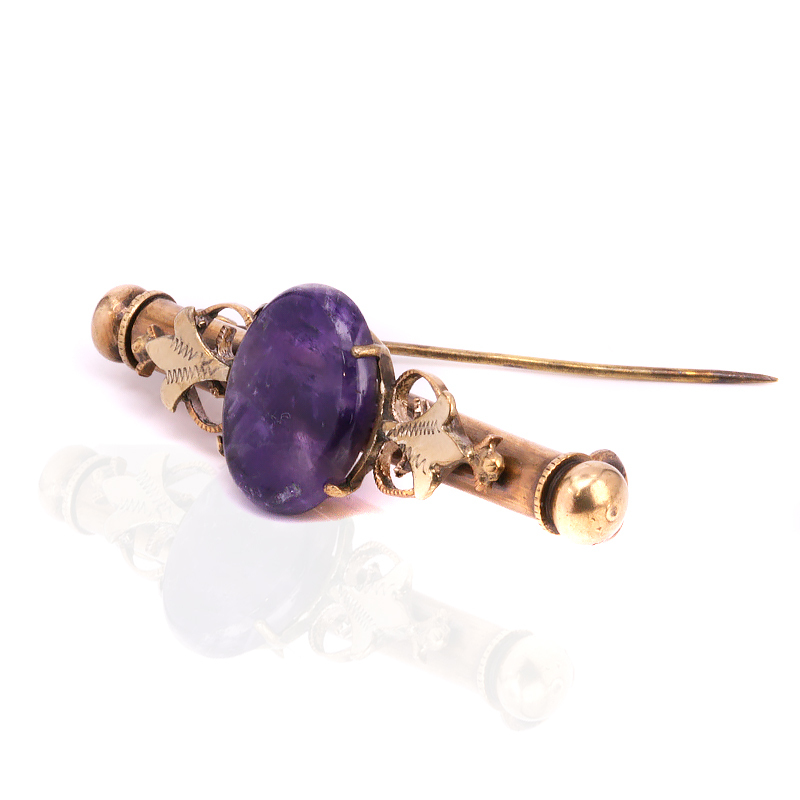 Made simply of brass and set with an amethyst, the brooch measures 48.8mm in length by 16mm wide at the centre, and one end cleverly unscrews to allow the needle and thread to be kept securely inside and ready at a moment’s notice. Although not made in gold or platinum, or set with sapphires or diamonds, there is no doubt that this antique nanny brooch is just as charming as any antique brooch and certainly a wonderful talking point. 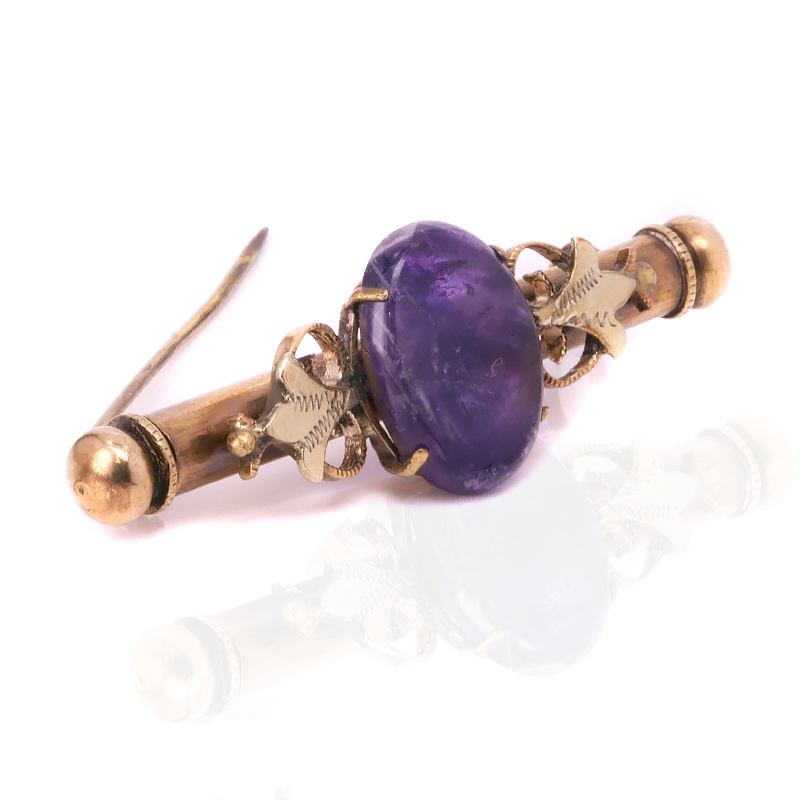 A nanny brooch was designed to cleverly hold needle and thread to be quickly used when needed.